Recently I had dinner at Osteria, Marc Vetri's casual Philadelphia restaurant featuring thin-crust pizza and homemade pastas. 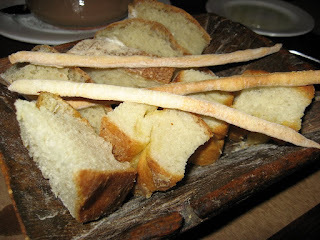 I was privileged to eat at Vetri this summer, and Osteria had been on my radar for a while. Needless to say, I was not disappointed. 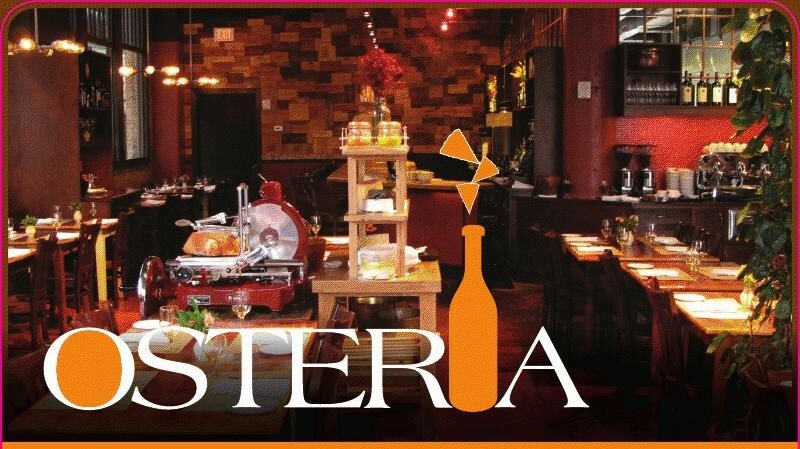 Everything about Osteria was just wonderful, from the silky pastas to near perfect service. I opted to start with pasta, but being unable to make up my mind, the waitress suggest I do half portions to sample different flavors. I opted for two, first one of the evening specials, a pappardelle with a light tomato sauce flavored pig trotters. Never having eaten pig's feet, I couldn't resist. The meat from the smoked trotters was shredded and added to tomato and herbs, melding with enough parmigiano to become something much greater than the sum of the parts. I'm a sucker for short rib (I will often order it as a way of judging a chef's abilities), so my second pasta dish was a regular off the menu, the canestri with braised short rib. These little shell-like noodles are perfect for holding onto the sauce, which again was simplicity itself--short rib meat, stock, herbs, and cheese to bring in all together. I enjoyed the short rib, but it suffered by comparison to the dish that magically appeared on my table in place of the canestri. At exactly the moment that I expected my canestri to appear, a food runner placed the candele with wild board bolognese in front of me. I had actually debated ordering the wild board instead of the short rib, and for a second I thought my waitress was privy to my internal dialog and chose for me. Instead I learned that my short rib had gone missing just as it was about to come out, so the chef sent the wild boar as a place holder less I begin to starve. A simple explanation would have sufficed in any good restaurant, and many would just let you wait, but at Osteria, they just feed you, the way your nonna might. The wild boar was delightful, it was a perfect moment of kismet, and I was never happier to have someone misplace my food. My third course was pizza, the other reason I was here. 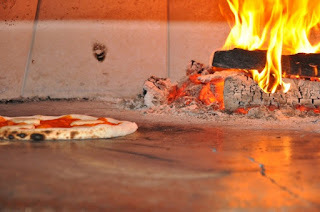 I love pizza, but rarely do I have it as I am most often disappointed. 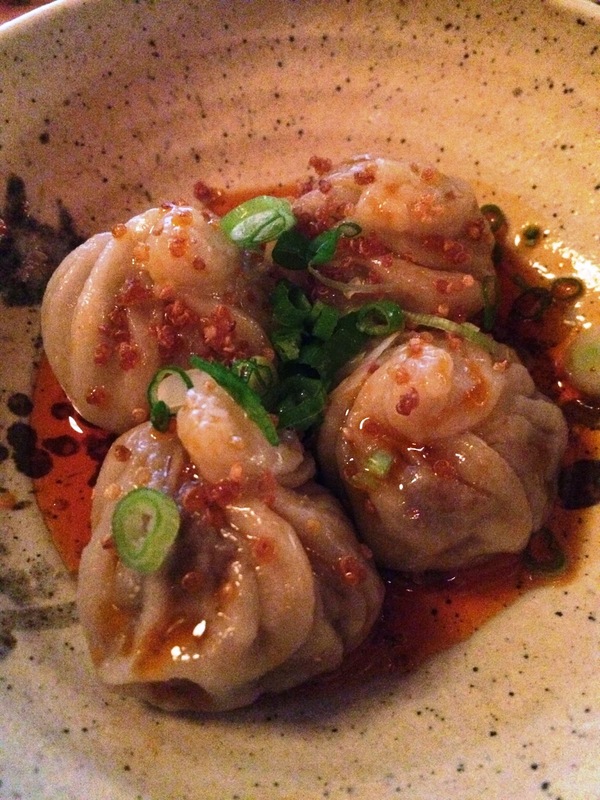 Osteria does not disappoint. I ordered the pie I have heard the most about, the le pizze napoletane mortadella. This thin crust beauty is topped with fresh mozzarella, a pesto made from Sicilian pistachios, and of course, mortadella--the Italian bologna that includes eye-popping chucks of lard and gorgeous green pistachios. I was in heaven. No pepperoni pizza ever tasted this amazing. I had not planned on dessert, but I rarely turn down the chance to read a dessert menu. I was quickly won over by the meyer lemon torta soffice with poppy seed gelato. Tart, creamy, it was your average morning muffin deconstructed and then reassembled but so much better. Marc Vetri and his partner, Osteria Executive Chef Jeff Michaud, are demiurges of the delectable, creating flavorful offerings from the simplest ingredients. Osteria will be a regular stop for my friends who come to Philadelphia. 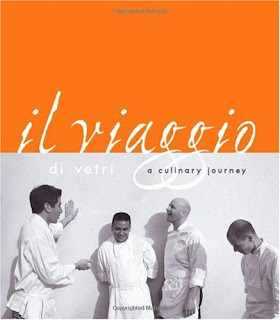 For those who cook, I recommend Marc Vetri's cookbook, Il Viaggio. He shares not only recipes from his restaurants, including signature dishes and pasta secrets, but the story of his journey as a chef, including his time in Bergamo, Italy. I have it and love it. I might even cook something from it this weekend.